I must have a thing for ‘faux’ ice cream lately. I suppose these are definitely less caloric than the real deal. 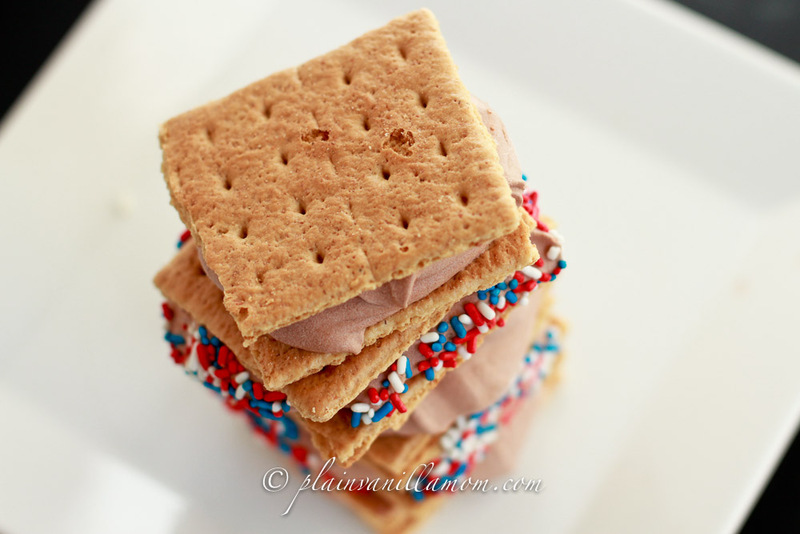 If you are looking for a quick, fun summer treat, these would be fantastic! 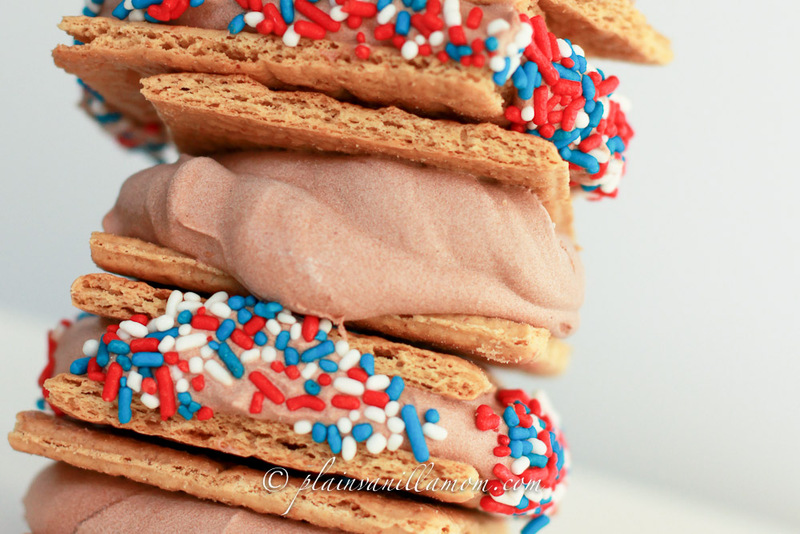 I gave them the good ole college try this weekend because I plan to make them as a dessert for our Memorial Day BBQ. If you are looking for a recipe to get the kids involved in the kitchen, this is a SUPER easy (and yummy) one! We ended up with leftover “ice cream” and just used it as dip for the left over and broken graham crackers. I would totally make this again just for that purpose! 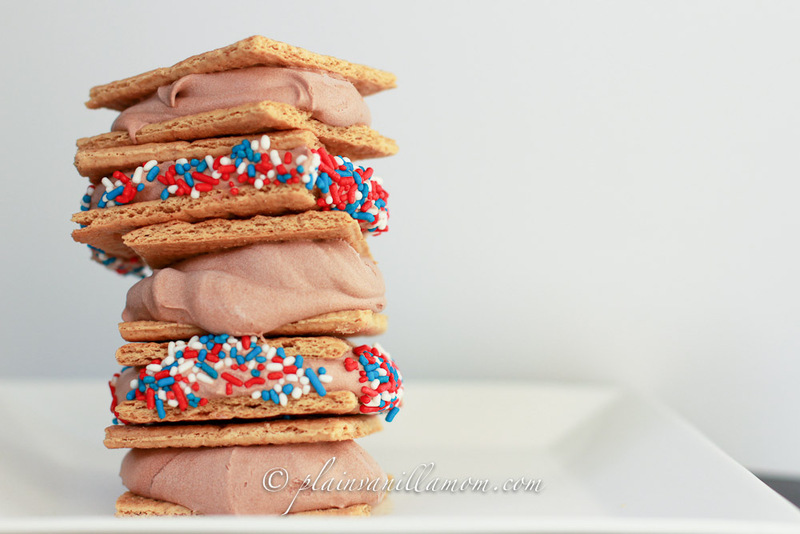 Break the graham crackers into two squares and set aside. Mix the pudding according to the package directions. Then, fold in about half of the container of cool whip until it’s well blended. Let the mixture set in the fridge for 20 minutes or so (just long enough so it’s not too soft). Sandwich a good sized spoonful (maybe 2tbsp or so) between two graham cracker squares. Dip the edges in sprinkles if you so choose and then freeze. So as not to squish these beauties I put a single layer of them on a cookie sheet and put that in the freezer for about 30min before I packed them in any kind of container. I found some patriotic looking sprinkles at the grocery store. They will be perfect for Memorial Day! Mmmmmm….don’t you just want one? I set them out for a bit before serving them so they would soften a little. Very yummy, these were a hit for both kids and grown ups alike. We would love to have you Follow us on Facebook and Twitter for more fun and ideas!! We are also sharing this post at the All Year Round Blog Carnival.